Alternate title: Make this now! Often times when I get home from work the last thing I want to do is take time to cook. Enter this dish. It’s the easiest dish you’ll ever make but it feels semi-fancy, which I love. It’s also delicious and healthy. I spend a lot of time searching for recipes, but find that many are a bit labor intensive. While I do enjoy cooking it is sometimes nice to have a quick and easy go-to recipe. 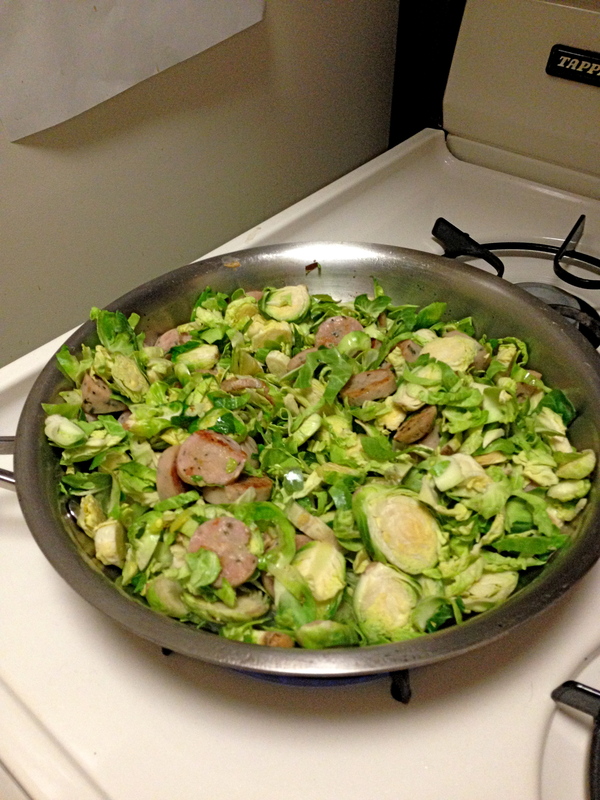 For this recipe all you’ll need is olive oil, shaved Brussels sprouts, Chicken Sausage, and Laughing Cow cheese. and serve in a pretty bowl. This recipe makes enough for roughly two servings. Each serving has about 340 calories, 23g of protein, 17g fat and 4g fiber. It’s also gluten free! 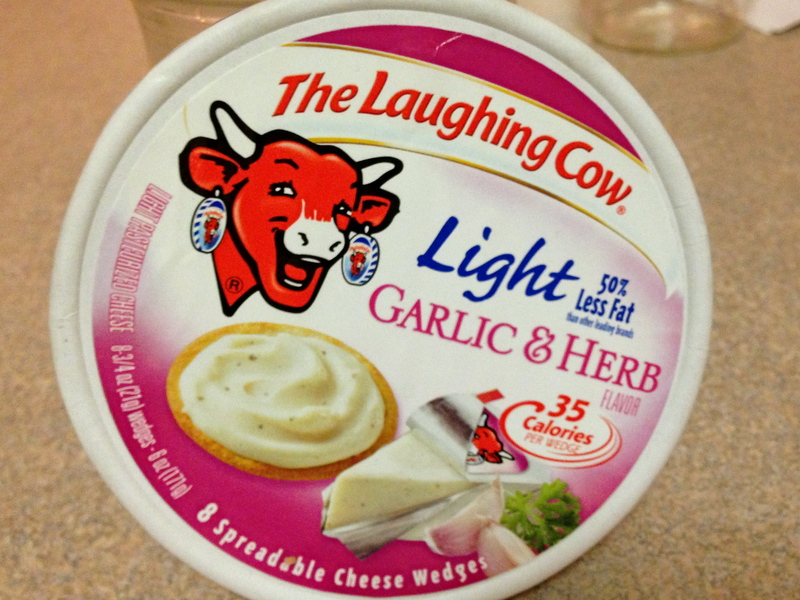 The ingredients are available at Trader Joes but Laughing Cow Cheese and Chicken Sausage are available at most grocery stores. 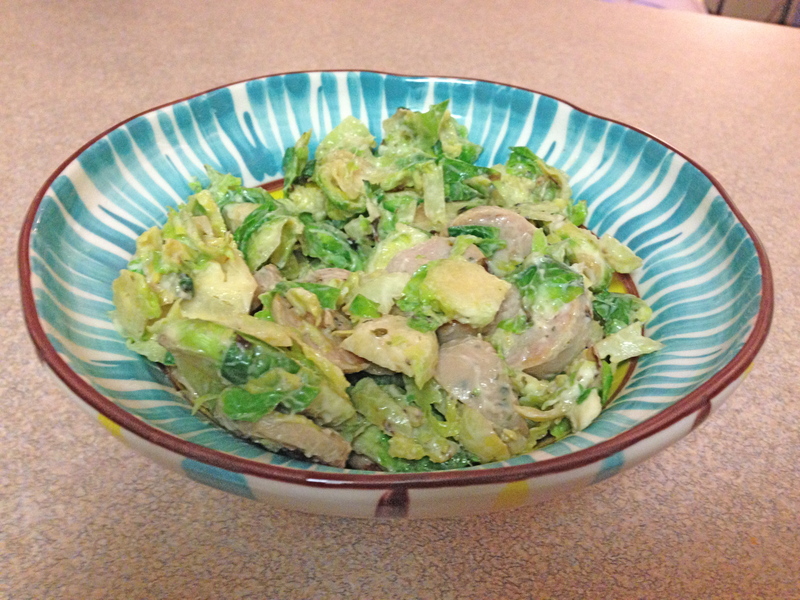 If you can’t find shaved Brussels Sprouts you can get the same texture by using a food processor. I found this recipe on the blog Carrots n Cake. Visit her website for the entire recipe!